Vassilis Spanoulis of Olympiacos Piraeus has been named 2012-13 Euroleague MVP ahead of Final Four in London. The attending members of the All-Euroleague First Team received their awards too, but it was Spanoulis who walked away with the biggest of them all, ahead of fellow First All-Team members Nenad Krstic of CSKA Moscow, Ante Tomic of FC Barcelona and Rudy Fernandez of Real Madrid plus former Euroleague MVP Dimitris Diamantidis of Panathinaikos Athens. Kostas Papanikolaou of Olympiacos received the Rising Star award and Bobby Brown of Montepaschi Siena was on hand to pick up the Alphonso Ford Top Scoring trophy. Tomic and Fernandez were each named to the All-Euroleague team for the first time in their respective careers. Diamantidis claimed First Team honors for the fourth time, while Spanoulis and Krstic each received First Team trophies for the second time. Spanoulis, a two-time Final Four MVP in as many appearances in the event, was chosen as the Euroleague MVP for the first time. 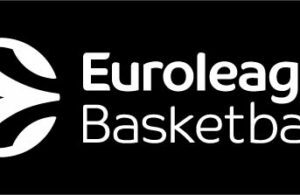 ← Previous Story WIN TICKETS TO THE EUROLEAGUE FINAL FOUR! !